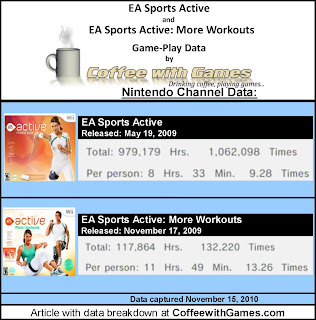 Coffee With Games: How Many Hours Have Wii Owners Exercised Using the EA Sports Active Games? 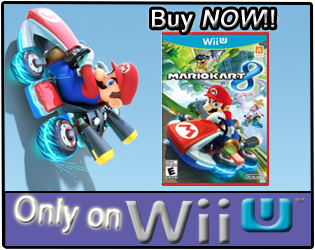 How Many Hours Have Wii Owners Exercised Using the EA Sports Active Games? EA Sports Active was released on May 19, 2009; and an expansion of sorts, EA Sports Active: More Workouts, was released on November 17, 2009. Just yesterday, November 16, 2010, Electronic Arts released a full sequel to the original, EA Sports Active 2. EA Sports Active has had 546 days of game-play data reported, while EA Sports Active: More Workouts has had 364 days of game-play data reported, through the Wii's Nintendo Channel. EA Sports Active has 114,450 players reporting their game-play hours, through the Wii's Nintendo Channel. EA Sports Active: More Workouts has 9,971 Wii owners reporting their game-play data. EA Sports Active has 979,179 Total Hours of game-play reported, and the average play session for EA Sports Active is just over 55 Minutes. EA Sports Active: More Workouts has 117,864 Total Hours of game-play reported, and the average play session for EA Sports Active: More Workouts is just over 53 Minutes. EA Sports Active's Amazon.com sale rank is #614, and it's currently selling for $44.99. EA Sports Active: More Workouts' Amazon.com sale rank is #584, and it's currently selling for $19.96. For comparision, EA Sports Active 2's Amazon.com sale rank is #149, and is selling for $99.95. EA Sports Active's GameRankings.com review score average is 81.85%, based on 20 reviews. EA Sports Active: More Workouts' GameRankings.com review score average is 81.07%, based on 15 reviews. 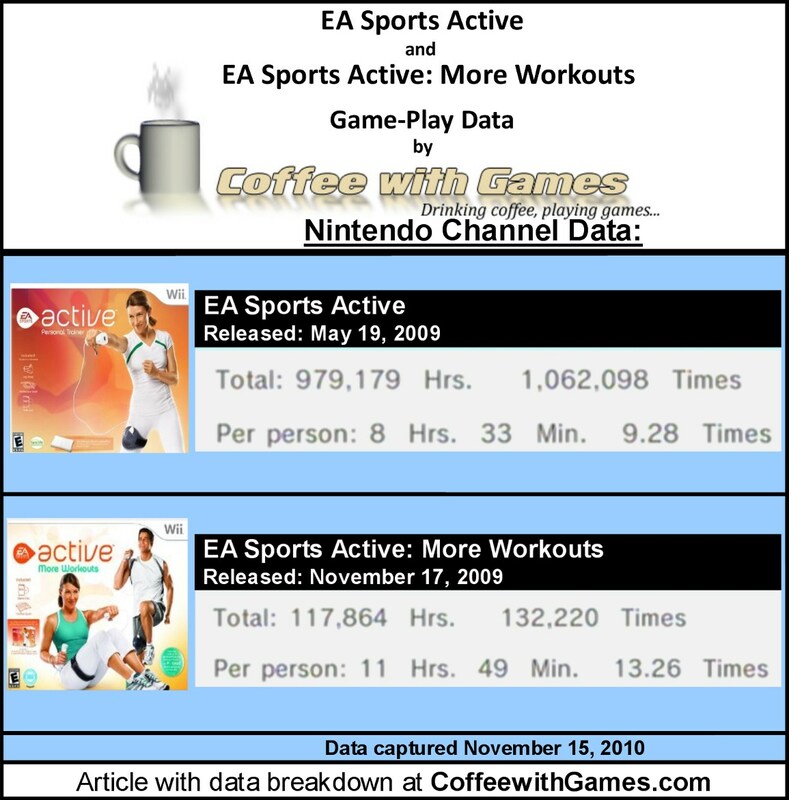 The EA Sports Active games were Electronic Arts' effort to tap into the gold rush of fitness games, created by Nintendo's Wii Fit. EA's effort worked extremely well, as the original EA Sports Active has sold more than three million copies since it released, and the expansion More Workouts saw sales success as well. The total game-play hours for both games are 1,097,043 hours, that is a little more than 125 years of active game-play! I have not played any of the EA Sports Active games, but I think it will be interesting to see EA can get a significant portion of the original EA Sports Active owners, to purchase EA Sports Active 2. As I stated in the "Coffee Beans" section, EA Sports Active 2 was just released, but its MSRP is significantly higher than the original's was when it released. EA Sports Active 2 has a MSRP of $99.99, and while it does come with more features and technology, like a heart rate monitor, I wonder if the the price point will be more than what people are willing to spend? Did you play EA Sports Active, or the expansion More Workouts? If so, did the games help you become more active overall, and perhaps lose weight if that was your goal? If you didn't purchase the original EA Sporst Active, are you interested in EA Sports Active 2? While I do need to get on a regular exercise routine, I don't think I would purchase another video game to attempt to fulfill that need. I'm planning to buy sports active 2 for my fat nephew! 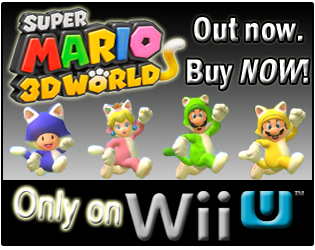 might as well buy part 2 since its just comming out and all the peripherals are better. We at http://www.physical-education-institute.com have been skeptical about the use of active video games for doing a workout. Our skepticism is gradually fading and can think of potential use for inactive teenagers and preteens. The data presented here is interesting. Average 9 times total per person? It seems not a lot of dedication there per person, but its promising at least. How does Wii Fit compare I wonder? Yea, Sports Active 2 has more peripherals and I believe even online features of some sort, so perhaps all of those will help to keep your nephew motivated. I think it can be a good motivating factor, when used correctly. My local library just had a DanceDance video game contest/event, and that game keeps you active while playing. I actually track Wii Fit and Wii Fit Plus each week, I'll get them up over the weekend/next week. - Whereas I had regular problems with Sport Active not registering motions (sometimes to the point where I'd skip an exercise in frustration), I almost never have that issue in More Workouts, and when I do, it's my own fault. - More Workouts is more well rounded, it has crunches and push-ups and such as well as running/lunges/squats which Sport Active was over-reliant on. - More Workouts has more challenging upper-body exercises. In Sports Active, they were far too easy, even with a much stronger resistant band. - More Workouts is just more fun. Really although Sports Active is still pretty good, I'd recommend anyone to instead get More Workout and buy the leg strap separate (and a real resistant band, the one included is crap). As for Sport Active 2... Not seeing it. Sure it's better but I think More Workouts is good enough (and I also have a couple other workout titles). I can't justify spending another $100. Thanks a lot for the feedback! I was wondering while reading your feedback, if Wii owners could purchase just More Workouts, when I saw your advice about just buying More Workouts, with the separate leg strap and resistance band. That sounds like some solid advice, from everything you wrote about your experiences with both games. Thanks again for the feedback/comment, I appreciate it!